We may as well skip the part as to who leaked the LG G6 press render photos, but just in case, it was Evan Blass, aka evleaks, of course. The LG G6 seems to sport a minimalistic design, with very thin side bezels, and the ones above and below the screen are kind of thin too. But when you look at the sides of the phone, it appears to be slightly thick. This suggests either a bigger battery, which is rumoured to be around 3200mAh, or a smaller display. We are going with the battery guess. 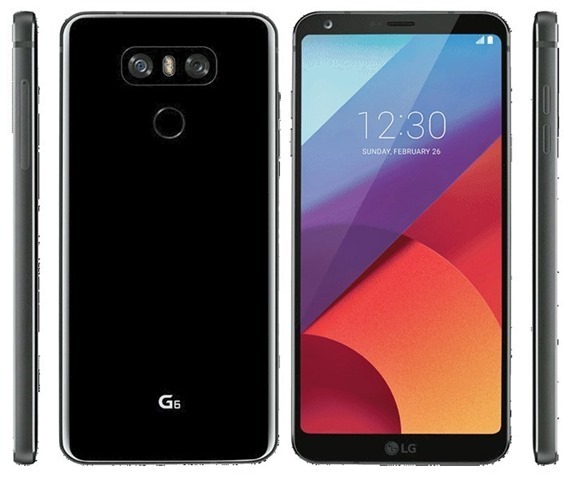 The back panel of the LG G6 has the G6 logo on it, along with a dual lens (RGB + monochrome likely) rear camera set up sitting either side of a dual LED Flash. The fingerprint scanner sits below the LED flash, and could double as a power button for the device. The cameras, LED Flash and the fingerprint scanner combined, does look a like a robot face. Doesn't it? The LG G6 has rounded corners and seems to have a curved back panel. The edge of the phone's body seems to be of metal, and so does the shiny look of the back panel. You can see the SIM card tray on the right edge, and the volume buttons on the left edge, and antenna lines on either edge. These photos do seem to match a previous leak, which we reported. We already know that the LG G6 will be powered by the Qualcomm Snapdragon 821 chipset., not the 835. The home screen shows the launch of the LG G6, which is scheduled for February 26th, at the MWC tech show.